One of the most common questions related to laser tattoo removal that we are asked is, “How much will it cost to remove my tattoo?” The answer to that question depends on many factors and is impossible to know with 100% accuracy in the very beginning. In this article we will describe the various factors that affect laser tattoo removal cost so that you can apply those principles to your own tattoo. Tattoo removal is a process. It requires multiple treatments that are spread apart by six to twelve weeks in most cases. The total cost to remove a tattoo will depend on the cost per treatment, which is based on the size of the tattoo, and the total number of treatments that are needed. Most tattoos that we treat at Shore Vascular & Vein Center range in price between $150 and $450 per treatment. Certain very large tattoos will cost more, but the majority that we treat fall within this range. What we do not know, and there is no way to know for sure in the beginning, is how many treatments will be needed to reach the desired endpoint. That is because tattoo ink may contain numerous different substances and colors. For example, something that looks “green” to the naked eye may have black, or blue or other colors mixed in order for the tattoo artist to obtain the desired effect. Furthermore, inks can be injected at different depths in the skin. All of these elements will affect the speed of response of laser treatment. At Shore Vascular & Vein Center, we use the latest Enlighten picosecond laser for tattoo removal. What that means, is that for most tattoos, we can complete treatment in approximately half as many treatment sessions than are required with the older Q-switched lasers that many other centers still use. In most cases, treatment will be completed in fewer than ten sessions. We have had numerous patients who have reached their desired endpoint in two to five treatments. In other centers that use older, less effective equipment, it is not uncommon for 20 or more treatments to be required. Therefore, the total laser tattoo removal cost is generally less expensive, and faster, in our center than in centers using older equipment. Again, these are only guidelines based upon what we see in our center. Results will vary from person to person. Some tattoos are more resistant to treatment and will therefore require more sessions than average. 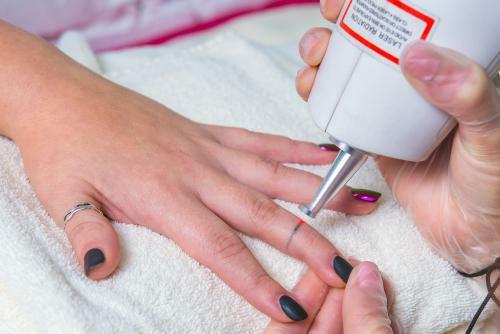 However, even in those cases, the number of treatment sessions needed will likely be significantly less than what would be required with other lasers. At Shore Vascular & Vein Center, we will carefully examine your tattoo and give you the best initial estimate possible regarding how many sessions we feel will be needed. While we can’t know exactly for sure in the beginning, we can usually get a reasonable estimate. We also offer various treatment packages that help to remove some of the uncertainly in laser tattoo removal cost. Many people will opt to purchase a package that provides multiple treatment sessions at one discounted price. In this way, people can often save 20% or more on the total cost of treatment. Also, some centers charge extra to remove tattoos with multiple colors. Our enlighten picosecond laser is effective in treating many different colors of ink, and we do not charge extra for that. If you are feeling “tattoo regret” call Dr. Jeffrey Gosin at Shore Vascular & Vein Center in Somers Point, New Jersey (609) 927-VEIN (8346) for a FREE consultation. We proudly serve Atlantic County, Cape May County, Camden County, Ocean County Cumberland County and the surround southern New Jersey areas.